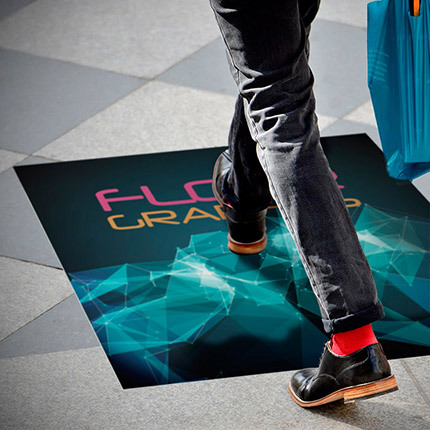 Transform high-traffic floor areas into attention-grabbing ad space. 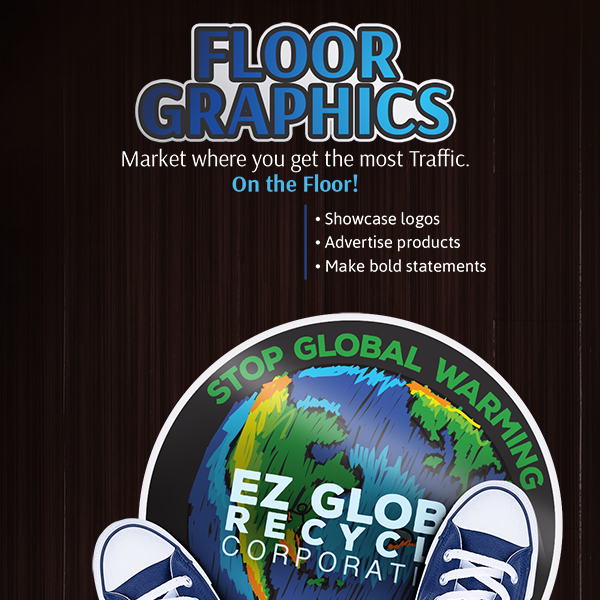 Our removable 4mil Floor Graphics are ideal for interior applications on most dry, clean and untextured floors. Under normal conditions, the vinyl and adhesive combo allows for removal and reapplication on these types of surfaces for up to six months. Perfect for showcasing logos and making bold, attention-grabbing statements that are sure to get noticed. These floor stickers are laminated and come slip-resistant, scratch resistant and scuff resistant to withstand heavy traffic over the life of the decal. 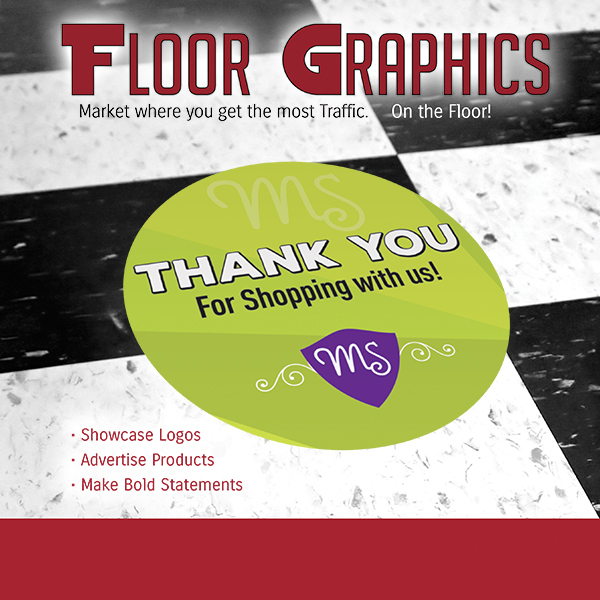 Floor graphics are perfect for events on the go, like sporting events, trade shows, weddings and conferences. Because they come off easily without leaving adhesive residue or damaging the floor.